Fresh Air Remembers War Reporter Anthony Shadid New York Times war correspondent Anthony Shadid, a frequent guest on Fresh Air, died Thursday after apparently suffering a fatal asthma attack in Syria, where he was reporting on the political uprising. Fresh Air remembers Shadid with excerpts from his December 2011 appearance on the show. 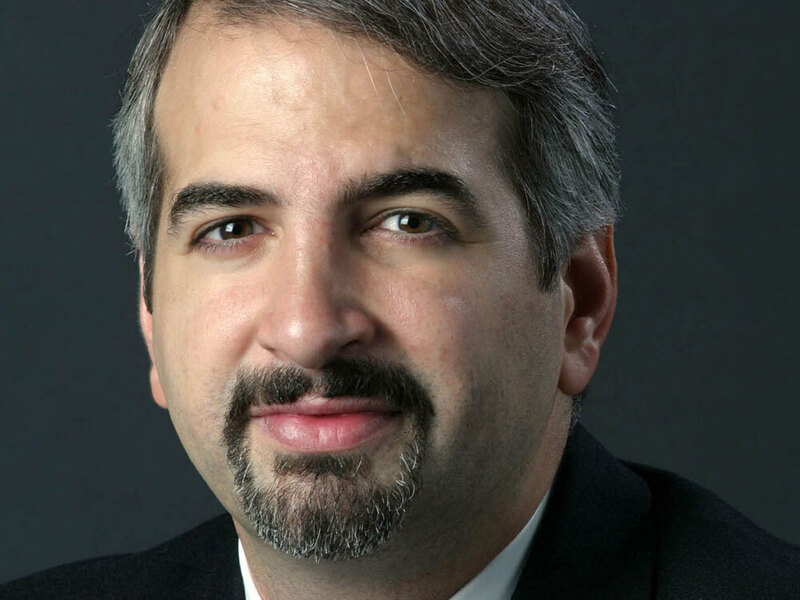 Anthony Shadid covered the Middle East for nearly two decades for The New York Times, The Washington Post, The Boston Globe and The Associated Press. New York Times foreign correspondent Anthony Shadid died Thursday, after apparently suffering a fatal asthma attack in Syria, where he was reporting on the political uprising. In his pursuit of stories in war zones — stories he believed needed to be told — Shadid risked his life many times, and almost lost it several times. In 2002, he was shot and wounded while covering the Israeli-Palestinian conflict. Last year while covering the uprising in Libya, he was kidnapped by government forces who beat him and held him for a week. Not long after, he risked his life again to sneak into Syria, which was not granting visas to foreign journalists. He was on another dangerous trip to Syria, where he was reporting on the resistance movement, when he died. But it's believed that what killed him was a severe asthma attack brought on by close proximity to his guides' horses. Shadid was 43. He won two Pulitzer Prizes for his coverage of Iraq, when he worked for The Washington Post. He joined the New York Times at the end of 2009. The Times has nominated him for a Pulitzer for his coverage of the Arab Spring. Shadid was an American of Lebanese descent. He was fluent in Arabic, which enabled him to speak directly with the people he was covering, and was on Fresh Air frequently over the years, most recently this past December, when he reflected on his time reporting from the Arab Spring uprisings in Tunisia, Egypt, Libya, Syria and Bahrain. He told Terry Gross that 2011 had been one of the most unbelievable years he ever could have imagined experiencing in the Middle East region. The New York Times has published excerpts of Shadid's reporting as well as a lengthy obituary on its website. Below, highlights from Shadid's December 2011 conversation on Fresh Air. "My own sense on that is that the Iraq War — the invasion of 2003 and the aftermath — delayed the Arab Spring. I think you can make the argument that these revolts and uprisings that have swept the region may have even happened earlier had not this scar of that occupation not been left on the region. That said, I think Iraq is going to be incredibly relevant to what comes up in the future in the region. Because I think there is a very deep and protracted struggle about identity at some level. Are these new systems of politics that emerged in Egypt, Tunisia, Syria, Bahrain — any of those countries — are they going to revolve around this access of citizenship, or are these societies going to divide along more basic notions of sect or ethnicity?" "I think Syria is often covered by phone. You have to talk to activists. You have to try to read the tea leaves. You have to talk to government officials. It's remote-control reporting in a way. And I think that's deeply frustrating, after coming out of experiences in Egypt, Libya and elsewhere, where it was on-the-ground reporting." "When I think back to the day, I blame myself more than I blame others in not leaving sooner. And I've gone over in my mind why I didn't leave sooner. And I hope it was for the right reasons — that this wouldn't have been covered otherwise. And I figure it was for the wrong reasons — that there was ambition in play. And we stayed too long, and I think any one of us could have forced the issue and I should have, but I didn't. ... We took such incredible risks for a story that I don't think was worth taking those risks for, but it's something I didn't realize until much later. And by the time we left, it was too late." "There was gunfire everywhere. We could see the impacts in the soft dirt. We all made a run for it. I think [photographer] Tyler [Hicks] was the first to go, and I followed him, and then we just ran for our lives basically. There was so little decision-making at that point. It was just: How are we going to survive? And I think Tyler, we talked later, he was going to make a run for it, and there was no way he could have gotten away with it. In the end, we all just sought cover behind a very small concrete school that was set up by the checkpoint. And once we got there, the soldiers just set upon us. And they emptied our pockets, slapped us around, put us on our stomachs and then bound our hands and legs with wire. ... And I remember, it remains one of the scariest moments of my life ... you just have to make peace very quickly with the idea that it's over. And I remember looking up at that soldier and he says, 'Shoot them,' in Arabic, and you just lose every sensation at that point. And it was probably two minutes before another soldier said, 'You can't shoot them; they're Americans.' And I'm not sure I believed them when I heard that, but the ability to sense things came back after I heard those words and then I thought, 'Maybe this is going to play out,' and you try to get your wits about you."